Ever fill up at a gas station and head down the road to see another gas station offering considerably cheaper gas? Say goodbye to that horrifying experience with Gasbuddy, an app that will easily help you find the cheapest gas in your area. There are a lot of music streaming apps out there, such as Pandora and Google Play, but Spotify is one of the best. The free version permits shuffled streaming, while the Premium version costs $10 a month and allows you stream pretty much any music you want. Does your neighbor speed by your house often in his loud sports car? Why not get some revenge (in a fun, safe way)? The XLR8 app connects to your car stereo and uses the accelerometer of your vehicle. As you accelerate, you’ll hear engine sounds from your favorite sports car. Waze is a “community-based traffic and navigation app.” Users log the site of traffic jams, allowing other users to avoid them. Users also constantly update maps, meaning that Waze offers the most up-to-date navigation. 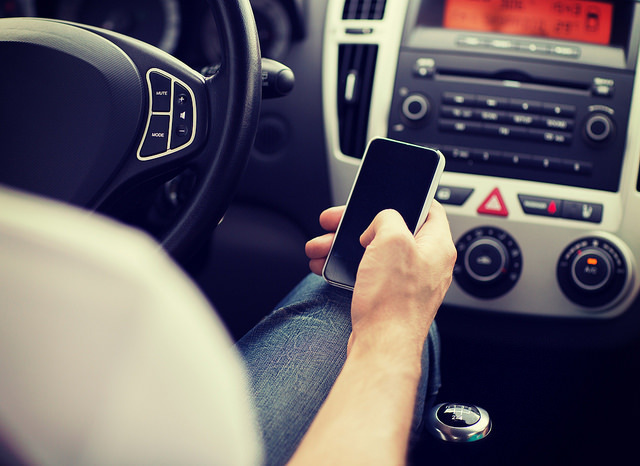 Summer is here and these awesome smartphone driving apps can really enhance your road trip! Tell us about some of the best apps you’ve used to help your driving here at Bradshaw Automotive! Cadillac has always been ahead of the curve. Just last year, you could find wireless charging capability as well as 4G LTE Wi-Fi connectivity featured broadly across the Cadillac lineup. This was before many other luxury brands had done so. Now, Cadillac is continuing to blaze the way for new technology by improving many of the Cadillac smartphone integration systems. This means that 2016 model year vehicles from Cadillac featuring the CUE’s 8-in multi-touch screen will boast functionality in Apple CarPlay. A press release from Cadillac reports, “Android Auto is expected to be phased into 2016 production at a later date.” Not only will Cadillac vehicles connect to both iPhones and Androids, it will also be a lot easier and more intuitive to access smartphone features. If that wasn’t enough, Cadillac is making the processor in their CUE systems much more powerful for 2016. Users will enjoy faster boot-up times and improved voice recognition. Tell us what you think of Cadillac latest technology here at Bradshaw Automotive in the comments below!